Jasper National Park is the largest in the territory of the Canadian Rockies. Covering an area of 10, 878 sq.km. It is located in Alberta, north of Banff National Park and west of the city of Edmonton. It boasts valuable ecosystems of hot springs, lakes, waterfalls and mountains, as well as the glaciers of the Columbia Icefield. 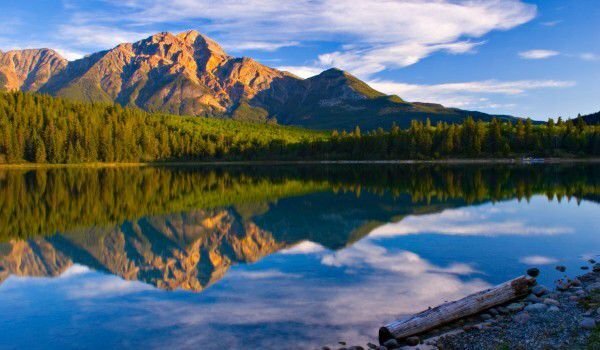 Jasper National Park is part of the priceless natural heritage of the planet. The park has existed since 1907 and is considered the wildest of the mountain parks. Simultaneously, it has built a detailed and extensive network of roads and routes. The Colombia ice field is one of the few in the world accessible by road. Jasper is one of the world famous tourist destinations for hiking and wild life observation, as well as skiing at Marmot Basin. Natural and animal diversity in Jasper National Park is immense. There are some of the rarest animals in North America, including large populations of grizzly bears, elk, wapiti caribou, wolves, mountain goats, beaver, mormons and others. Jasper is one of the few remaining places in the world where you can meet a full range of predators. Jasper National Park was listed as a UNESCO World Heritage Site in 1984, along with seven neighboring national and provincial parks that are part of the Canadian Rockies. Jasper is accessible by car, train and bus. The largest nearby airports are in Calgary, Edmonton and Vancouver. Jasper National Park has more than 1, 200 km of routes, as well as pretty cottages and hotels which offer accommodation. Jasper joins Banff National Park via the Icefields Parkway highway, which opens the door for of visitors to experience some of the most amazing natural sights in the world. The list of sites in Jasper is long, and ensures incredible emotions in nature. 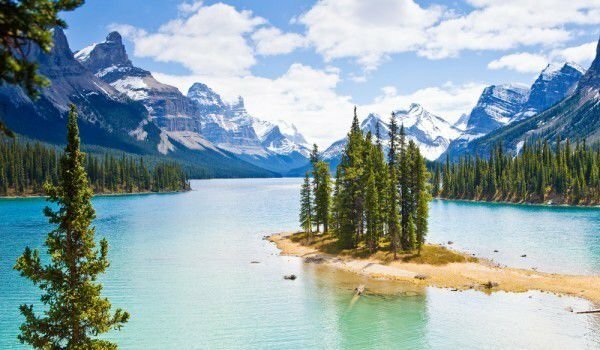 Some of the popular places here are Mount Edith Cavell, Pyramid Lake along with Pyramid Mountain, Maligne Lake, Medicine Lake, and the Tonquin Valley. Medicine Lake is one of the favorite places for visitors to Jasper. Due to it’s strange drainage system, the water pool is constantly changing. The local Indians once believed that the lake was haunted because it was deep one day and dry the next. Lake Maling on the other hand, is the second largest glacial lake in the world. It is popular among tourists with many opportunities for outdoor activities. 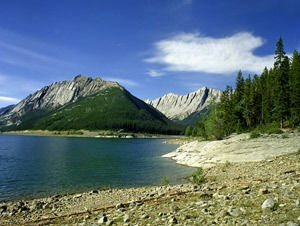 The eponymous Lake Maling is situated in Jasper valley, and offers options for fishing, horseback riding and hiking. A highlight here is Spirit Island, which is reachable in about an hours boat ride on the lake. One of the most popular places for fishing in the park, are Pyramid Lake and Lake Patricia. Part of Jasper National Park is located on Whistler Mountain, which has a railway that can take visitors to an altitude of 2285 m. One of the exciting places in Jasper national Park are the Sunwapta Falls, reaching a height of about 18.5 meters. It is the most beautiful in spring when most deep. The name is Indian and means "turbulent river". Another spectacular waterfall in Jasper National Park is the Athabasca Falls, as well as Tangle Falls, which is composed of several levels and cascades.